Join the discussion on our forums! 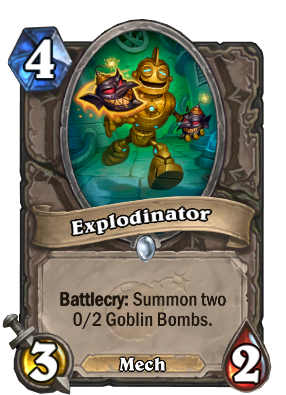 Come discuss Explodinator over in our dedicated Explodinator discussion topic. Ah, Perry the Platypus: snared in my trap. 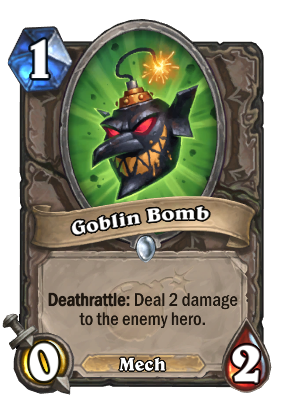 Here's my theorycraft on a Goblin Bomb deck, filled with Magnetic & Mech synergy. Leaning towards building strong boards & combo threats as opposed to being too Deathrattle focussed. Isn't it the guy from Paladins? You know what they say! The more, the merrier! Specially when it comes to face damage! 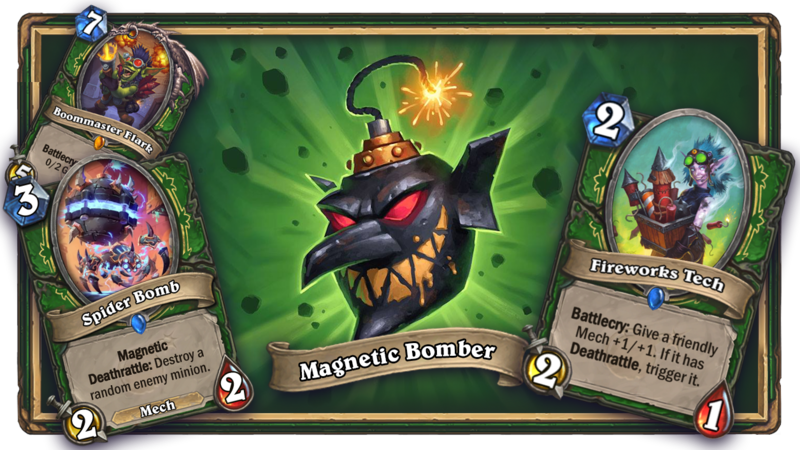 This will be good in token decks but that is about it. Never happening but would love to see this in Trolden video after release.